So now there’s a sequel involved – Mini Weapons of Mass Destruction 2! When we added the original Mini-Weapons of Mass Destruction we knew it would be a popular book. After all, making catapults out of spoons and pencils is just so darn cool! But we didn’t know that it would become our most popular book this year! The book starts out fast with detailed instructions on how to build a 1/2 dozen handguns of the homemade, candy-shooting variety (with names like PPK TIC TAC, CANDY GLOCK and the Cotton Swab Special). Then the book moves onto concealed weapons and the fun continues. Overall there are 30 different weapons to built such as the Paper Dart Watch and the Mint Tin Catapult. Non-weapons are also included in this edition, with the Bionic Ear, Toothpaste Periscope and many more! Mini Weapons of Mass Destruction 2 proves it is a worthy sequel! Things are still quite hectic in the store so this is great time to repost our Microscope buyer’s guide. This is the time of year when many a budding biologist gets their first microscope! Inspection/Dissection Microscopes: Inspection/Dissection microscopes are designed to be used with any object you can fit on the microscope’s staging area. This can be coins, stamps, bugs, plant parts, circuit boards, small animals, or whatever else you might find. Inspection Microscopes often have much lower magnification (10x-40x is typical), much wider viewing fields, and very often the binocular versions give true stereo vision. This allows the viewer to ‘work’ (I.e. dissect) on the object being viewed and get a true sense of depth of objects like coins. Inspection Microscopes may have only 1-2 levels of magnification verses the 3-4 on compound microscopes. The microscope will also have top-down lighting, and some may have bottom-up lighting as well. The eyepieces used in many mid-range inspection microscopes are often larger and more comfortable to use. Hand-Held Microscope: These are small, pocket-sized microscopes used in a fashion similar to Inspection/Dissection microscopes. They may have higher magnification than Inspection microscopes (30-100x power), often have a built in light, and are light and portable. Their main disadvantage is they have a limited viewing field- you must put the scope directly on the object being viewed. Their optics & lighting are also rarely up to the quality of full-sized microscopes, and moving to find a specific part of an object can be tricky. Still they are great in the field where a full-size microscope would be unwieldy. Altazimuth Mounts: Altazimuth mounts are simple mounts designed to help aim the telescope in simple up/down (altitude) and left/right (azimuth). Altazimuth mounts are simple and intuitive, and work well for beginners. They are also useful if you wish to use your telescope for terrestrial viewing. The problem with altazimuth mounts is this: objects in the sky do not move in convenient up/down, left/right motion. They move through the sky i n an arc (or at least it seems that way to us!). This means that trying to track celestial objects using an altazimuth mount can be like drawing a curve with an etch-a-sketch! For most beginner viewing, this is not an issue, and one can always reacquire an object that moves out of the field of view. But it does mean that if you find a nice object with your telescope, and leave to go let your friends know, it will likely move out of the eyepiece view by the time you come back! There are a lot of filters available, and they all help with viewing certain objects. Moon filters cut down on the bright moon (which can actually be painful to view through a large telescope!). Color filters help bring out features of the planets. Sky Pollution filters reduce (but do not eliminate) the effects of light pollution. Read up on their effects and decide if any of these filters are right for your needs. Eyepieces, barlows, filters, books, & planispheres! All these little parts can be hard to carry and just shoving them into a bag isn’t a very good idea. Consider buying an accessory case to put your eyepieces, etc in for easy transportation. The time to consider getting a carrying case is when moving the accessories is starting to get in the way of your night sky enjoyment. 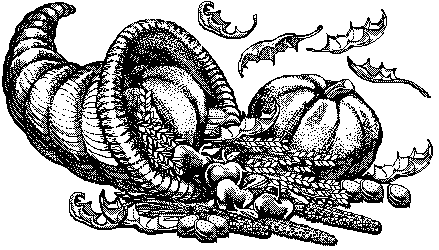 Wishing you and your family the happiest of Thanksgivings. Spectrum Scientifics in conjunction with our neighborhood, Manayunk and American Express present a special sales event: Small Business Saturday! Show your support for small business (like us!) by shopping at small businesses this Saturday and get all kinds of neat benefits! Many stores on Main St. in Manayunk will be participating with sales and specials. At Spectrum, we will have candy bags and tote bags for the first 30 paying customers, and in addition every customer who spends $20 or more will get a free Ghost Writer Invisible Ink Pen. In addition, the businesses of Main St. Manayunk will be have sales and specials as well. A kiosk will be set up detailing the various stores’ specials. Be sure to drop on by! If you’ve been complaining about Black Friday being overwhelming or too man big box stores messing up your holiday now is the time to show your support of the little guys! 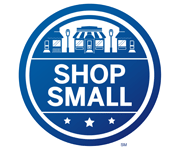 If that isn’t enough incentive for you, American Express is also having a special deal that you cannot beat: If you spend $25 or more with your American Express card this Small Business Saturday, November 26th, at a participating small business you will get a $25 statement credit! You will need to sync your American Express Card for this credit, so be sure to fill out the form at that link! Show your support for local small businesses this season, and get some great benefits. Shop Small! So let’s get some gift ideas out there! Let’s start with a popular item, the Top Secret Perpetual Spinning Top! Give the top a spin and it will go for days before even thinking about tipping over. Next up we have the Mini-Newton’s Cradle. It works just like its big brother (with conservation of momentum that is) but can fit in the palm of your hand! The HexBug Crab reaches the limit in both price, and might stretch a stocking in its packaging, but it qualifies! This little guy comes to sound and flees from light! The Ghost Writer Invisble Ink Pen is quite affordable and includes the UV light for seeing what you wrote! Squidy is a perennial science favorite as it demonstrates pressure. Your own little cartesian diver! Give the gift of…vomit? Sure, when it is a cool dissectible Owl Pellet! Make dinner fun for little engineers with the Fork Lift Fork! Check out the Bulldozer Pusher and the Front Loader Spoon! Launch the Firefly into the air with the rubber band and it spins down to earth in a dazzle of colored lights! That’s a good list to start with! We’ll have more suggestions as the holiday season progresses! Be sure to keep an eye on this blog for more gift ideas! Spectrum Scientifics has long sold Nutrient Agar to its customers, either in bottle form or in kits. The basic nutrient agar is excellent for bacteria growing experiments for school students. All one needs to do is heat of the agar (a double boiler works great). Pour it into some Petri dishes and swab in the material to be tested! But there are more folks out there than just students, and they have some very specific needs for growing bacteria, etc. These folks work in labs and have important experiments to run, so not only do they need special Agars they also don’t have time to melt the agar down! Hence why we now have prepared plates of specialty Agar! These prepared plates are sold in packs of 10. Being prepared means they are ready to go from when you open the box or take them out of the lab’s fridge. MacConkey Agar – Is used to grow Gram-negative bacteria for lactose fermentation – useful for the cheesemakers. Potato Dextrose Agar – Is used to grow the bacteria that attack living and decaying plant matter. It is also used for cultivating & isolating yeasts and molds from dairy. Sabouraud Dextrose Agar – is used to cultivate bacteria that have low resistance to antibiotics. It is also used in the cosmetics and food industries to determine microbe content. Standard Methods Agar – Is used to get microbial counts in water, wastewater, milk, and other liquids. This agar has American Public Health Standards (APHS) to meet (and it does meet them) to be used in this capacity. Tryptic Soy Agar with 5% sheeps blood. – This is for growing various pathogens without needing to add extra blood proteins. These prepared Agar plates are shipped on ice and require 4-5 days prep time (they are made on demand). We have many other Agars, both bottled and plated, available to us. Contact us to see if we can fill your needs!